From the first breath-taking glimpse of the grand façade of the House to the last fond farewell, Hopetoun is certain to capture the imagination of your guests. Our magnificent House & Grounds creates a dramatic and impressive setting for your event and ensures an unforgettable experience. 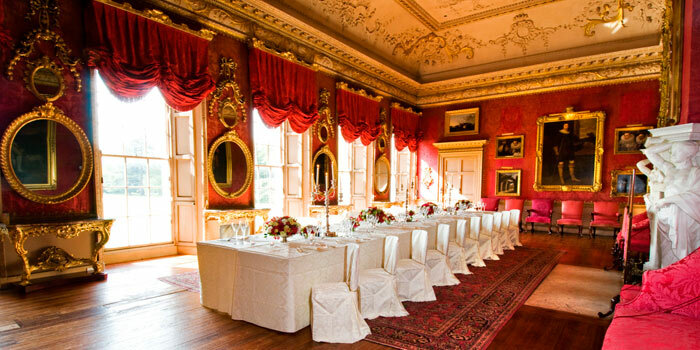 Our beautiful State Apartments within the main house are a stunning setting for an intimate dinner for up to 50 guests. These are made up of a selection of delicate historical drawing rooms which were originally designed and still used for aristocratic entertaining. As you explore the elegant, richly decorated interiors, aperitif in hand, our knowledgeable guides will be on hand to give you an insight into our fascinating House and its history. 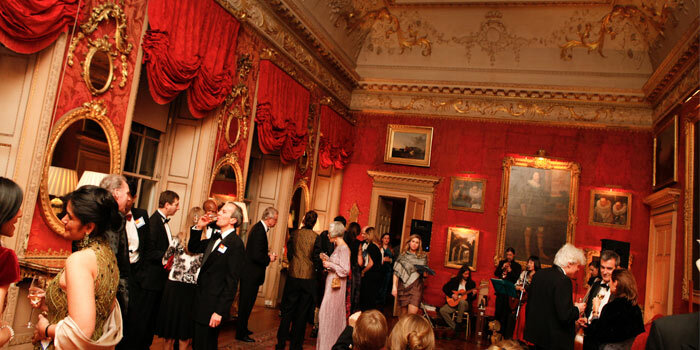 Dining is then available within the State Dinning Room for up to 16 guests and the Red Drawing Room for up to 50 guests for a sumptuous dining experience. Our food is a perfect as the surroundings, created by our exclusive event caterering partner, Heritage Portfolio, from the freshest local fare, while the discreet butler service allows conversation to flow. For a spectacular finale, you could choose a traditional Beating the Retreat Ceremony or a modern firework display. Beating the Retreat is performed under floodlight in front of the house by a Scottish pipe and drum band in full ceremonial dress: originating in the 16th Century, it once signified the break of battle but is now used as a ceremony to mark a special occasion. For something truly spectacular, we can also combine the Retreat and fireworks together. For larger scale dining of up to 300 guests please visit our Scottish Gala Evening page for details on private dining within the magnificent Adam Ballroom.